Each individual wishing to cover the events must complete and submit a form on the right. If approved, we will email you press invitations and keep you updated on show schedules. Digital press invitations are usually emailed to approved press 15 days before the event. 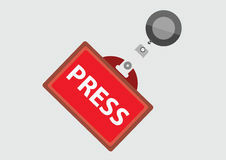 We reserve the right to request more information on your press credentials before allowing access to the pageant show. This form is NOT an INVITATION or RSVP to any specific pageant show. You will NOT receive an email message after you submit this form. Complete and submit the form below to request to be added to the list of press accredited to cover our pageant event.